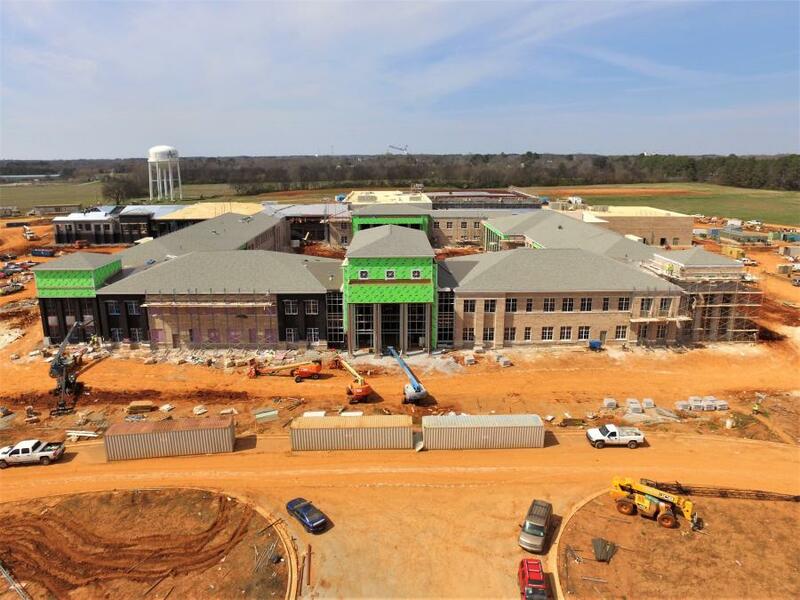 The new Athens High School will spur on a chain of educational facility changes, including a new fourth and fifth-grade specific school. 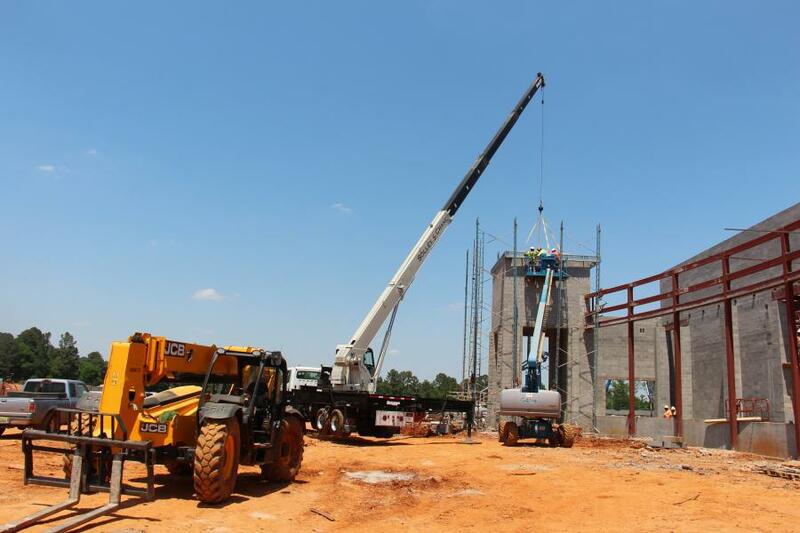 Described as a premier facility that will serve the area for years to come, the new Athens High School in Athens, Ala., is expected to open on schedule this fall. The 285,000 sq. 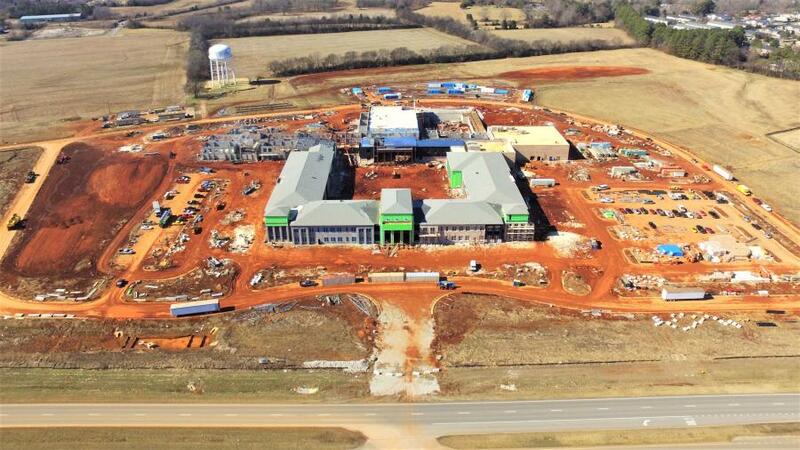 ft. project is located on U.S. Highway 31 next to the Board of Education central office building. A five-year capital plan called for building a new high school and moving the middle school students to the existing high school. The project broke ground in the summer of 2016. The project, which is nearing completion, is a two-level facility that will offer students modern classroom spaces and updated labs for science, engineering, technology and career technical education programs. 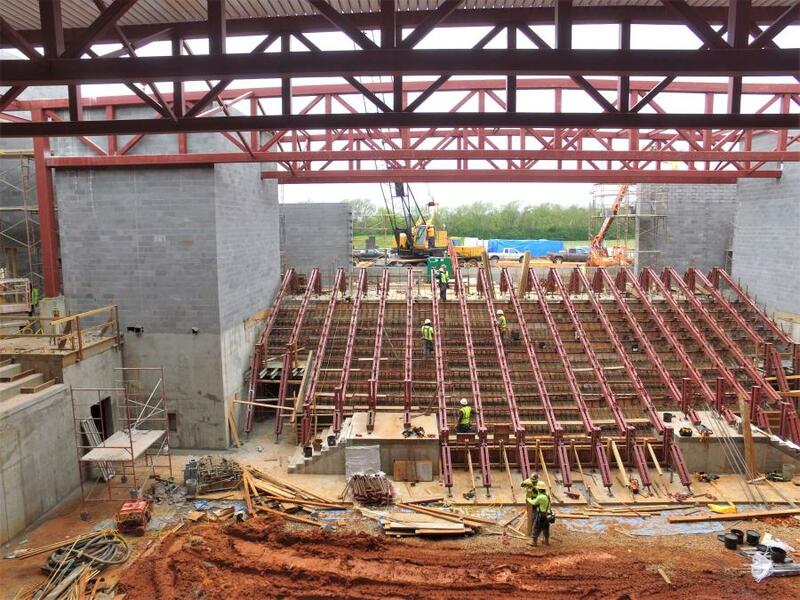 Although they are all connected, the school includes the main instructional classroom area with 57 classrooms, a freshman center, competition gymnasium, a practice gymnasium, a 750-seat auditorium, a courtyard with several outdoor classrooms and an underground storm shelter. Holladay noted that the new high school, one of the largest public projects in the city's history, will be a source of pride for the area. The project is expected to boost economic growth in the area, which has become a hot spot in recent years. Housing demand in the Athens market is reportedly up four percent, and the median sales price has risen 15 percent, according to the Alabama Center for Real Estate. 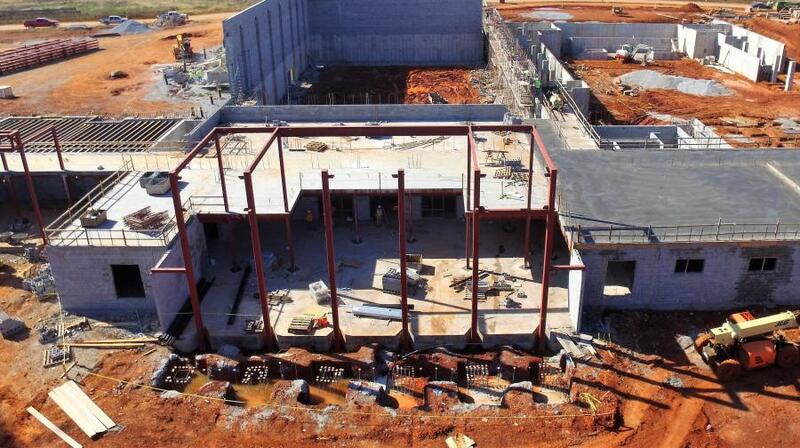 Construction of the new high school fits into a larger capital plan for the school system. “Upon my arrival in July of 2013, it became clear that we had some major capital needs within the school system,” said Holladay. “Our middle school is housed in a 75-year-old building, one of our elementary schools is over 60 years old and our other schools were at capacity and needed some updates. When the proposed tax increase did not pass in 2015, we had to devise a plan of attack. Based on current statistics, now is the ideal time to perform the work. Discussions surrounding the need for a new high school began in 2013-2014, as demographic studies continued to show growth in the area and in schools. The project is funded from a local bond. The estimated final cost will be close to $59 million. “Although the tax vote did not pass, our board was committed to getting students out of our existing middle school,” added Holladay. “The school is not ADA compliant and had additional problems. We also had the data supporting the need to prepare for growth at our high school. 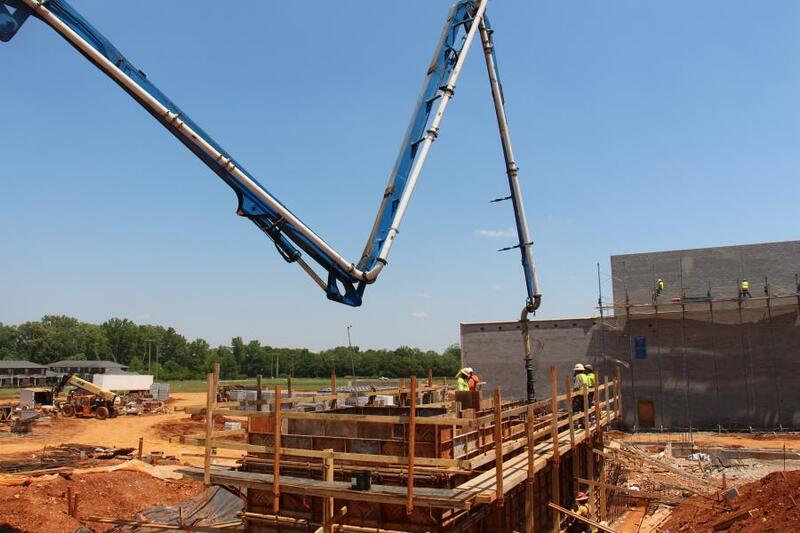 Working in tandem with our city leaders and officials, the Athens City Board of Education approved a $55 million budget for construction of the new building. 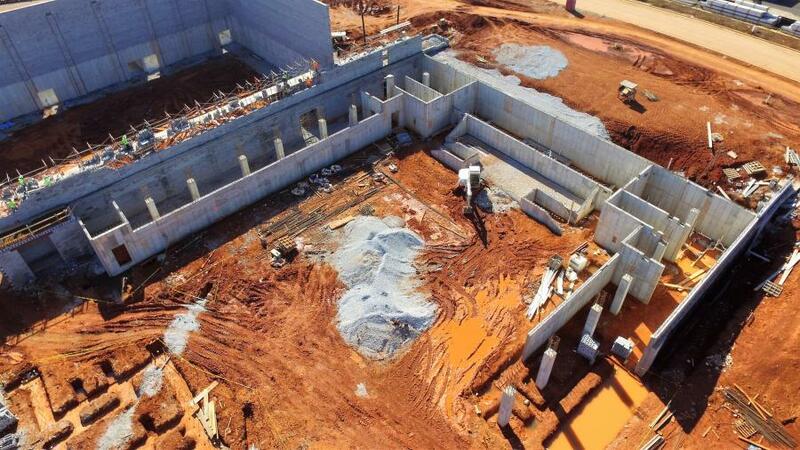 “The Athens City Council approved the 20-year debt service in unison with the board's action to make the project happen. That money is coming from the city's general fund and the school's education fund,” Holladay explained. The new high school is located across the street and several hundred yards north of the existing schools. The current building will become Athens Middle School in August of 2018. Although still not an easy task, moving teachers and staff is not as challenging as one might think. After spending so much time planning the building with the architects, Holladay said seeing everything come together has been rewarding for those involved in the project. The required storm shelter alone is worth the wait. Goodwyn, Mills and Cawood (GMC) serves as the project architect. GMC regional vice president Gary Owen Jr. said the vision for the new school was to create a state-of-the-art learning environment. “One that would be a landmark for the city to prepare learners for career and college-ready opportunities beyond high school,” explained Owen. “From the beginning, the district was committed to 21st-century design techniques and applications that were incorporated throughout the school. “It's a very comprehensive, large project. The school has many stakeholders involved who had input to make it successful. Having the opportunity to create a legacy for the school system meant that a lot of thoughtful planning was in order,” added Owen. Owen said the history and richness of Athens played into the design and aesthetics of the building. “We wanted to create a statement with the school to reinforce its importance in the community,” said Owen. “The building is traditional in its style, with hints of contemporary elements. We utilized glass within the courtyard to create interest and natural light into the spaces. “I'm very excited about the courtyard. The school was designed around an enclosed interior courtyard. This provides outdoor learning opportunities and commons areas for students during the school day. Outside dining will be provided for students, as well,” added Owen. Concern for the environment also played a key role in the project. “Energy-efficient lighting that will dim based on the need, insulated windows, insulated wall systems and efficient mechanical systems with automation characteristics all provide sustainable features,” said Owen. Paige Hicks is among the Athens High School teachers excited about the change.